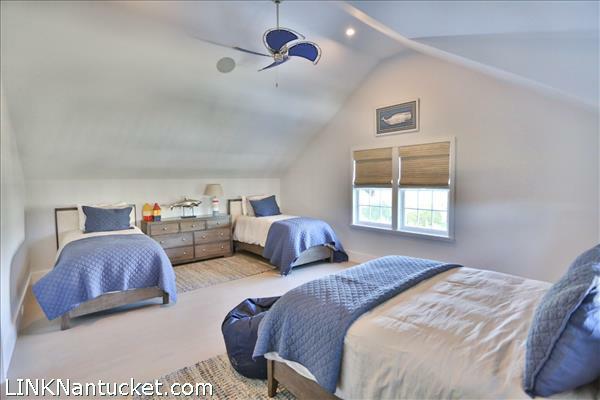 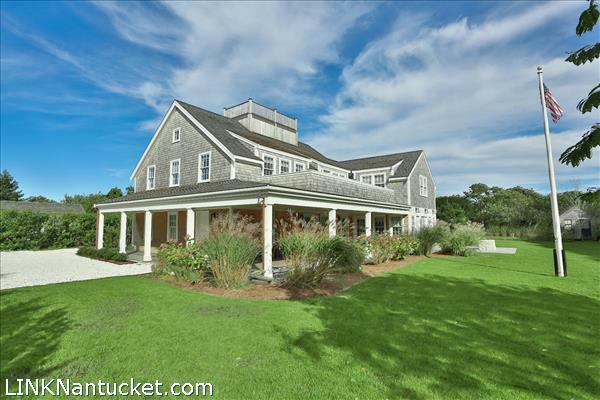 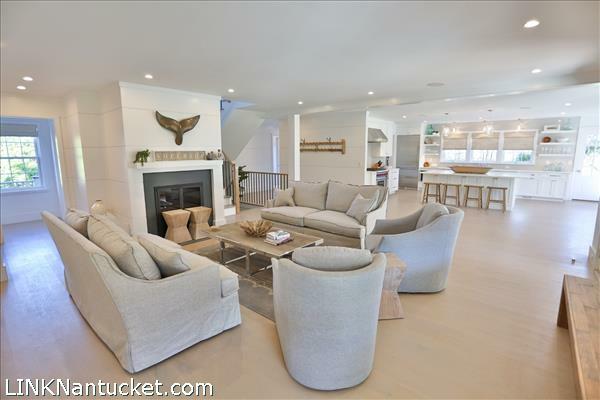 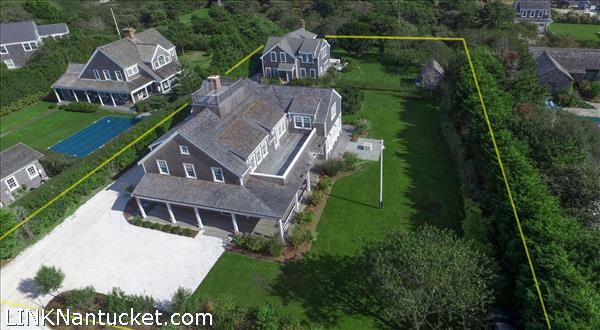 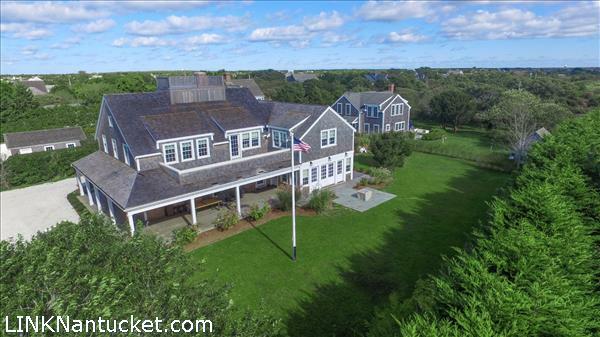 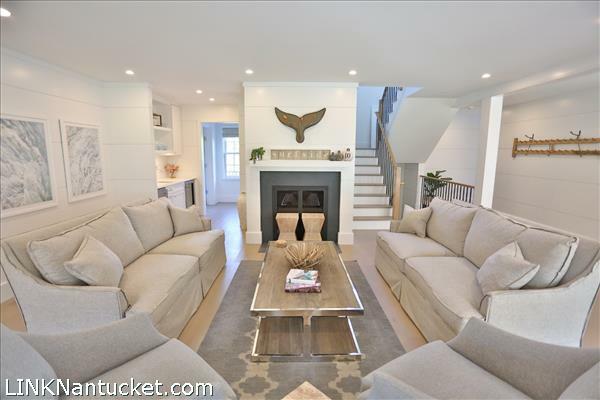 Over 6,400 square feet of living space in this beautiful main house and guest house and the proximity to the Fisherman’s Beach combine to create a distinctive Surfside compound. 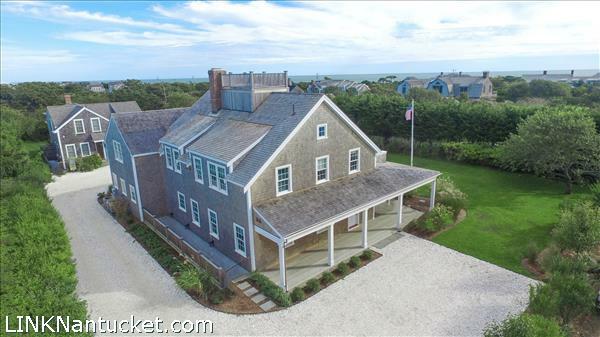 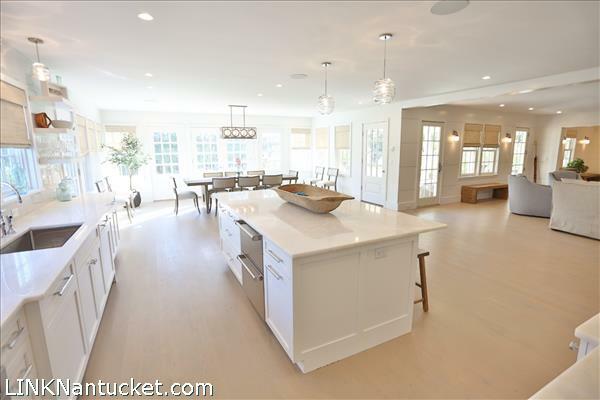 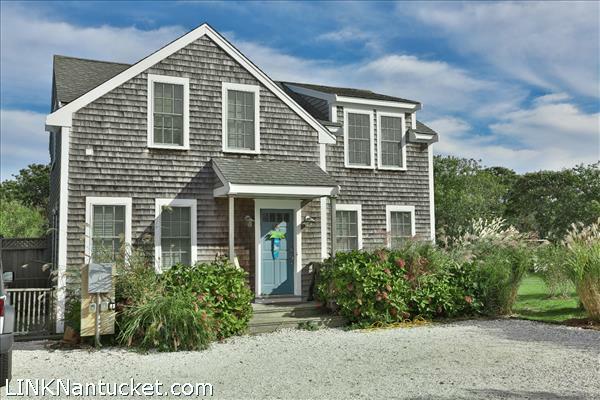 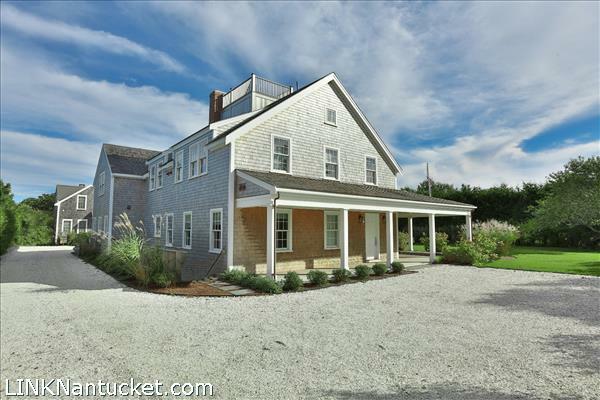 The newly and thoughtfully built four-bedroom main home and two-bedroom guest house are situated on a nicely landscaped and private lot and are ideally located just down the road from the beach, which may be accessed by an 8′ walking easement that winds down to the beach making this a superb Nantucket summer compound, complete with a pool permit in hand. 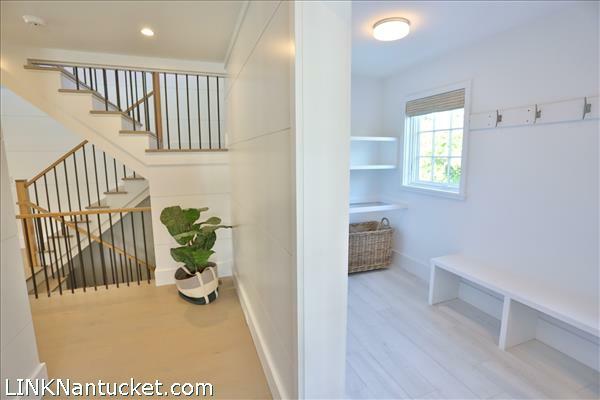 First Floor: Enter from the welcoming front porch into the entry hall with a closet and powder room. 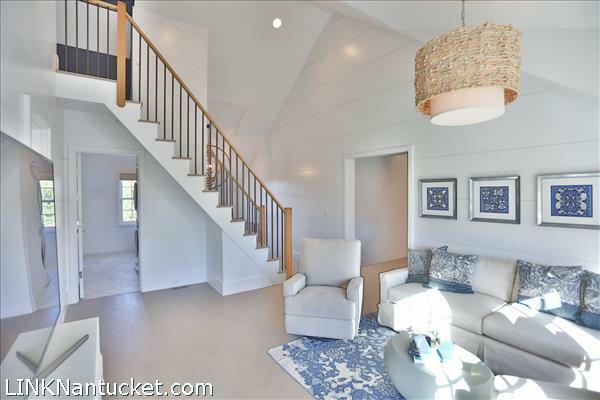 From the foyer step into the living room with wood burning fireplace and wet bar with wine fridge and ice maker. 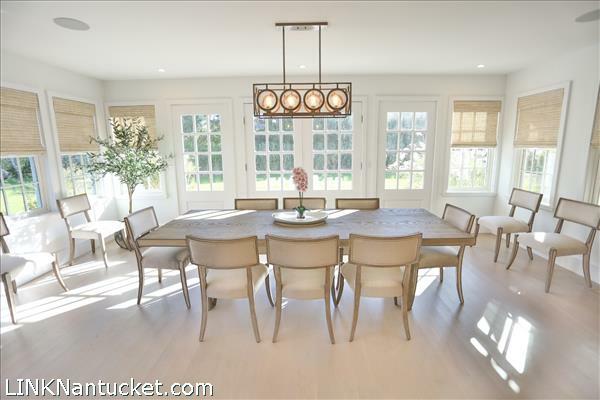 The living room opens into the large kitchen and window-lined dining area with French doors to the patio, covered back porch and private backyard. 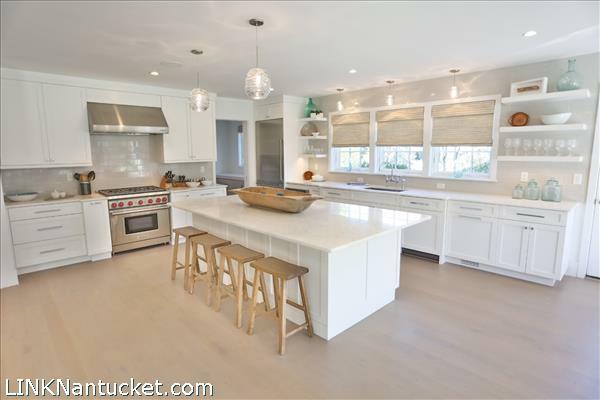 The kitchen features a large island with counter seating and refrigerator drawers, two Bosch dishwashers flanking the kitchen sink, a Wolf six-burner stove and plenty of cabinets and counter space perfect for entertaining. 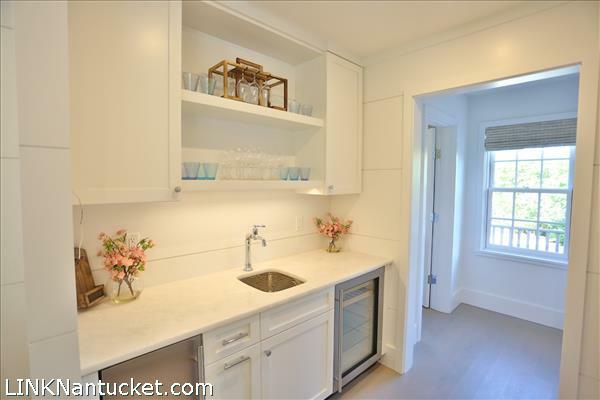 Adjacent to the kitchen, a large butler’s pantry offers wonderful additional storage and working space. 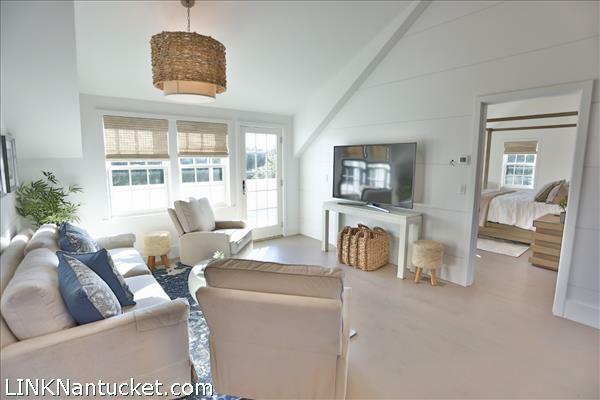 To the rear of the home is the Beach Room, which features easy access to outside and outside shower, a full shower bath and the first floor laundry area. 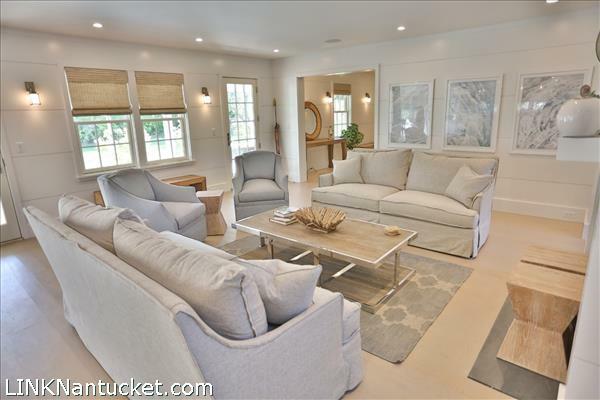 Off of the living room, is an office which is a secluded, private space. 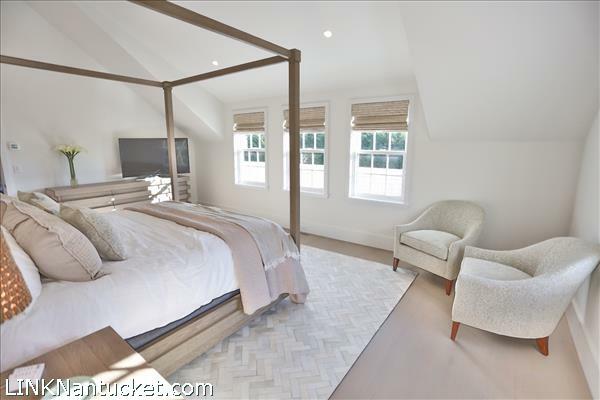 A first floor bedroom with en-suite bathroom is a welcoming space for guess. 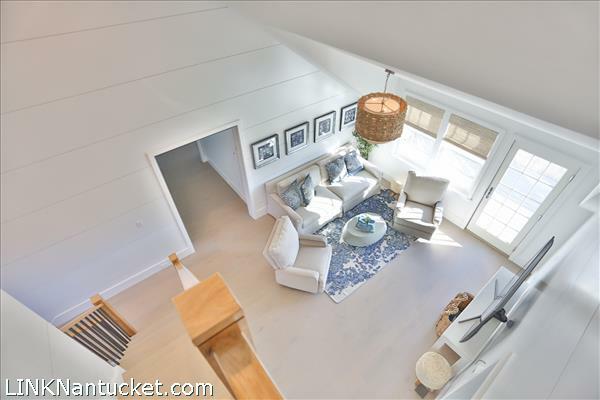 Second Floor: Up a beautifully detailed stairway, you will find a lovely second-floor sitting area with vaulted ceilings and a bank of windows with a door allowing light to filter in and providing easy access to the second-floor deck. 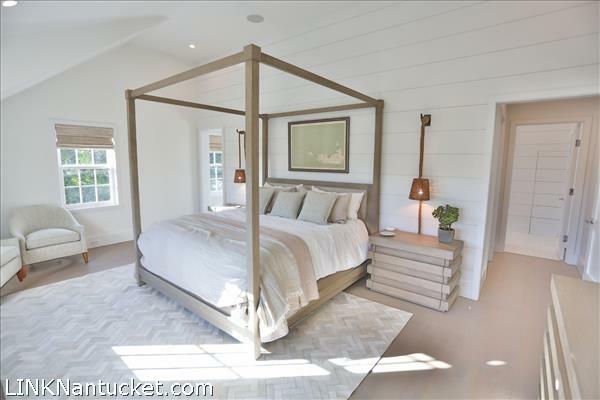 One side of the second floor is completely encompassed by the master bedroom suite. 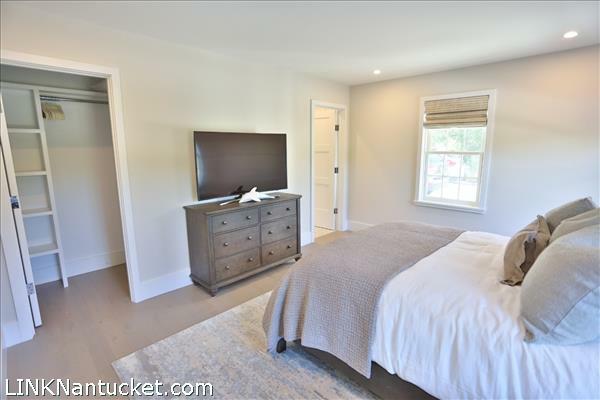 The master bedroom offers vaulted ceilings, two separate walk-in closets with ample space, as well as a generously sized en-suite master bath with soaking tub and double vanities. 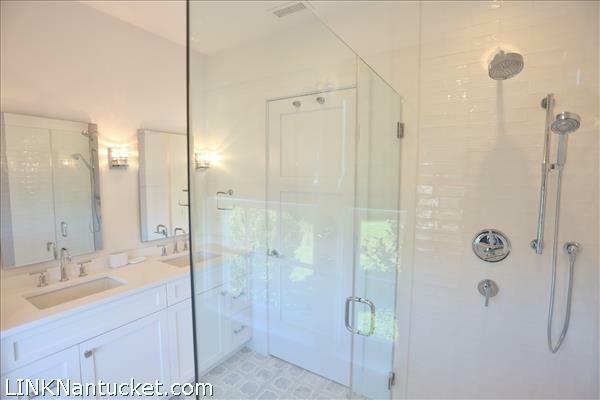 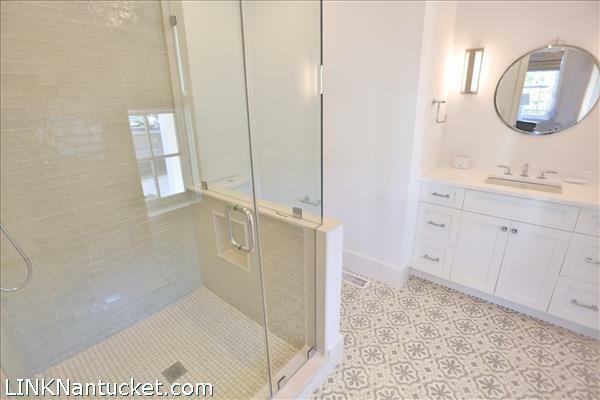 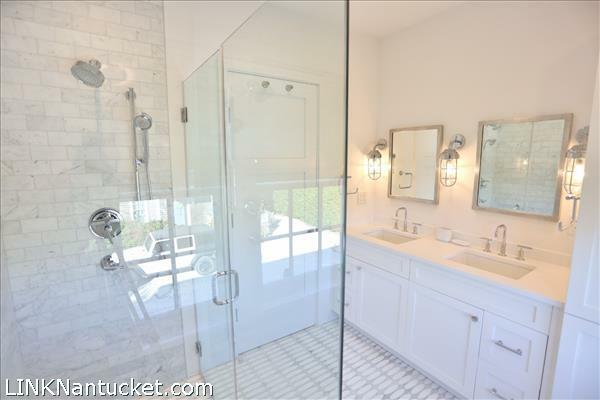 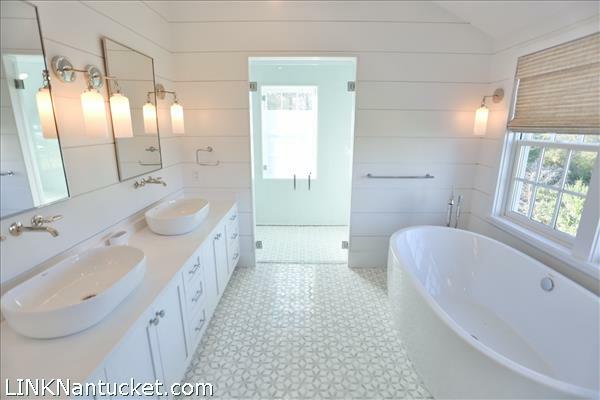 The shiplapped walls and beautiful tile work in the master bath create a spa-like environment. 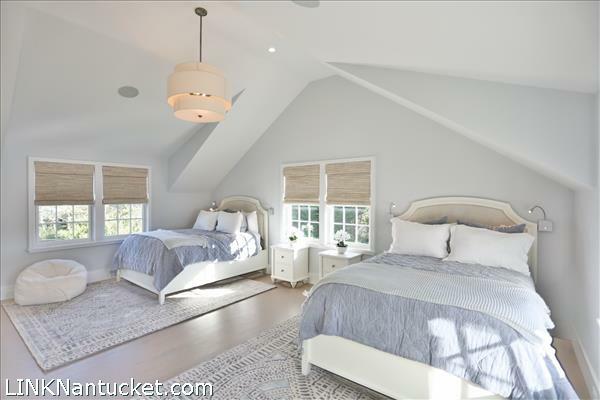 The guest wing of the second floor features two oversized bedrooms each with a private bath. 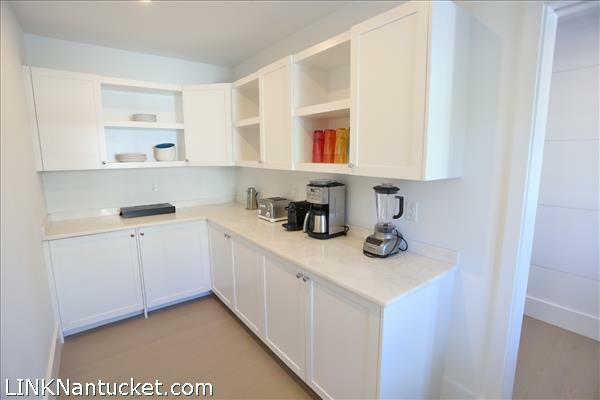 Also on this floor is a conveniently located second laundry area. 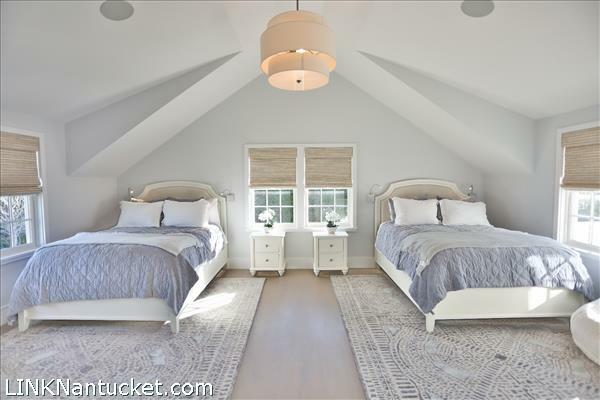 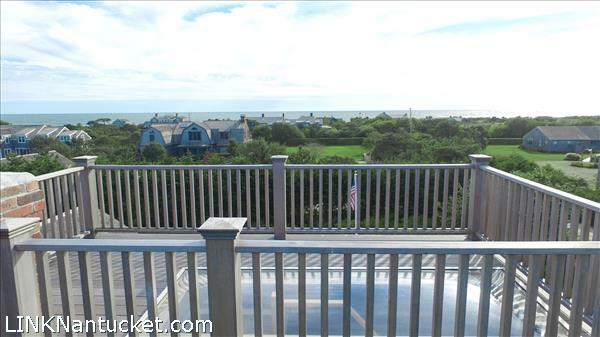 Third Floor: Loft area with access to the roof walk which offers stunning ocean views.